Sometimes the best part of getting outside is turning off your smartphone and getting away from technology. But there are definitely times where your iPhone or Android can open up new activities, or put needed information at your fingertips. Here are the 10 best smartphone apps for getting outdoors. SIDENOTE: You do NOT want to rely on your phone’s GPS for backcountry navigation, with very few exceptions. Why not? There is a detailed list of reasons in this article. Strava quickly became my favorite web-app for tracking all my running training. The website is very clean, provides great reports, and let’s you follow your friend’s training (and comment and leave ‘kudos’ on their workouts). Perhaps, the coolest feature of Strava is the ‘segments’. Segments are user-created, user-edited, and designate a portion of route where users can compete for time. You can use segments to compare your own times, or to compare with other user’s times who have also completed the segment. Segments are a great way to see who is in your area, and to link to the type of routes other users are riding or running. Best of all, after you upload your GPS file to the website, it will automatically see if you ran any segments and show you your overall standings in the leaderboard for that segment. 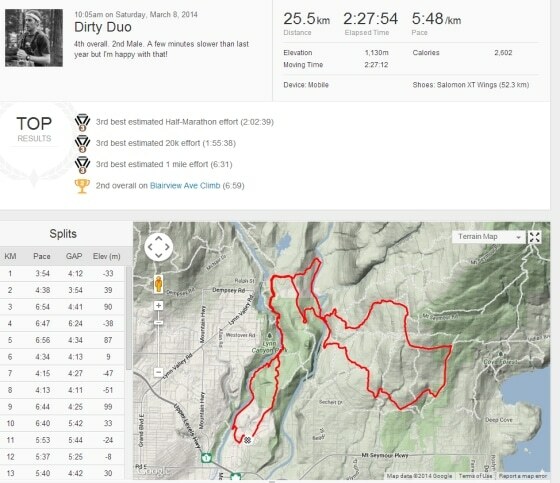 The smartphone app for Strava let’s you record your run or cycle using your phone’s GPS and directly uploads the file to your account after the workout is complete. The app also lets you see your activity feed, your profile, and explore new segments. If you use Strava you can follow me here. Strava App: iPhone | Android | Website Cost: Free (there is a premium upgrade to unlock extra features on the website). For anyone who is a birder, and tech savy, this is a no-brainer compared to flipping though a book out of your backpack. But even if you’re not a birder, I can see where this app comes in handy. There’s been several times where I’ve been out hiking or trail running and have come across owls, which I think are amazing animals. But its frustrating if you don’t know the species. Having this app on your phone is the answer. iBird App: iPhone | Android | Website Cost: Lite version is free, or $10 for pro on Android and $20 on iOS Also slated for release in 2014 is a Google Glass version. With SkyMap you can point your phone into the night sky to identify stars, planets, constellations, and even meteor showers. The app uses your phones GPS and compass data to identify the stars you are looking at. Or, if you want to find a particular star or planet, you can do a search for it, and SkyMap will show you where to move your phone to locate it. Pretty cool stuff! 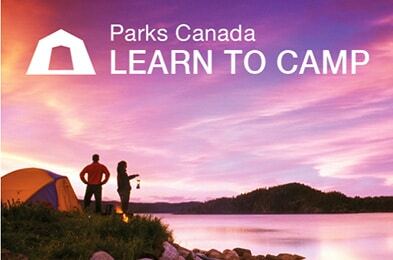 Learn to Camp is an app developed by Parks Canada, and its surprisingly well done. It has four basic main areas; Camping Basics, Camping Checklist, Recipes and Cooking, and Find a Park. There is plenty of simple and basic information under the Camping Basics section. This information is not very detailed, but would be useful for newbie campers. 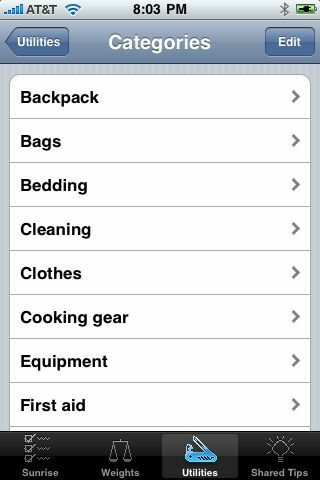 The Camping Checklist lets you create a list of items you’ll need for your trip, which are added from pre-populated categories in the app. You can then cross them off as you’ve collected the items. The app also shows you all the National Parks and general details about each site. This app is very handy. I wish they would team up with the Provincial Parks to add those parks into the app as well. The title of the app says it all. If you’re looking for a checklist that is more robust than the checklist built unto Learn To Camp (app #, above), then this is the one you want. Navigate, manage waypoints, tracks, routes, build your own dashboard from 45 widgets. It can be exciting when you discover animal tracks out in the woods. But if you haven’t studied tracks before, you’re left to guessing what tracks you are looking at. (This happened to me last year when I saw some cougar tracks in the snow). The My Nature Animal Tracks let’s you easily identify the tracks you’ve found. ”Search by track size and shape in seven different illustrated categories to identify over 46 animals across North America. View actual tracks in the wild, reference illustrated gait patterns, range maps, digital images of animals and listen to each animals vocalazation”. Geocaching is a really fun activity I’ve posted about before. The concept is very simple. You load the GPS coordinates for a ‘cache’ onto your handheld GPS or smartphone, use the provided hints, and go and try and find the cache, usually hidden in the woods or on a trail. There are different types of geocaches ranging in difficulty, but its the perfect way to have some leisurely fun in the outdoors, especially with kids. Geocaching.com is the de-facto place to post and find new geocaches, and the smartphone app allows you to find nearby caches using your phone’s GPS. You can view hints, record your activity history, and more.